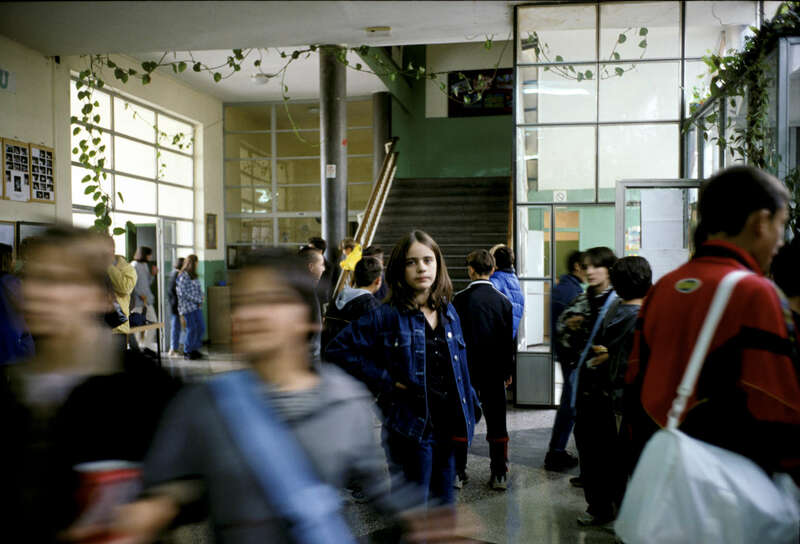 Serb and Muslim students in the hallway of a Sarajevo school. The children had been brought together for the first time since the end of the war as part of a fledgling parent-teacher organization program fostered by an international non-governmental organization. The students, who attend separate schools, put on a program of skits and songs for each other. October 2000.